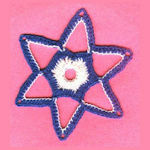 Spiral Ball Ornament -- $1.99 A Crochet pattern from Julie A Bolduc. 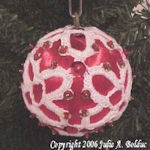 This ball ornament is made with a spiral on it. 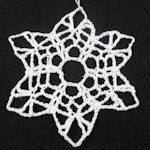 You could make a whole bunch of these with white satin balls and use thread colors that would match a parties theme.